Portofino Tower condo broke the mold and created a new one. Renowned builder Jorge Perez envisioned a new standard in luxury condominium living in South Beach, Miami. The result was the ultra-luxury residences of Portofino Tower that, since 1997, have continued to match succeeding challengers while helping to make the South of Fifth Street district one of Miami Beach’s most exciting areas for owners to buy at. This development soars 44 stories from the oceanfront and offers one-, two-, three-, and four-bedroom condos. 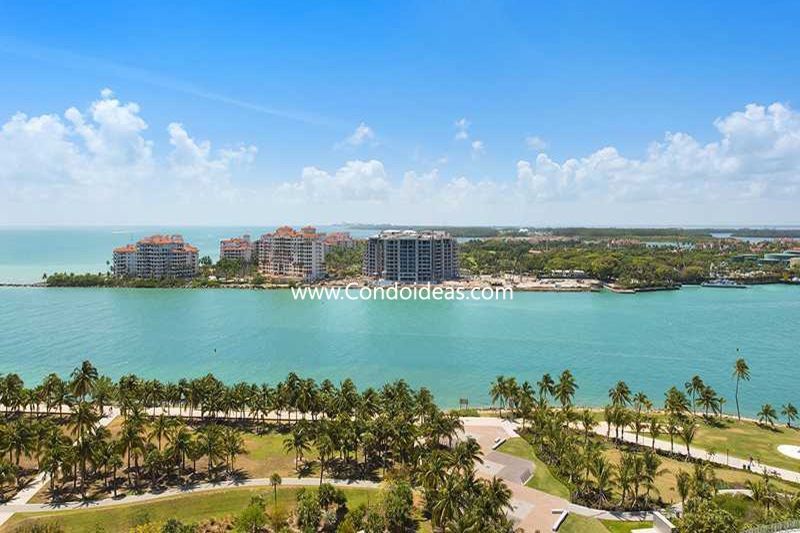 Residences have water views and range from 1,090 to 4,510 square feet. 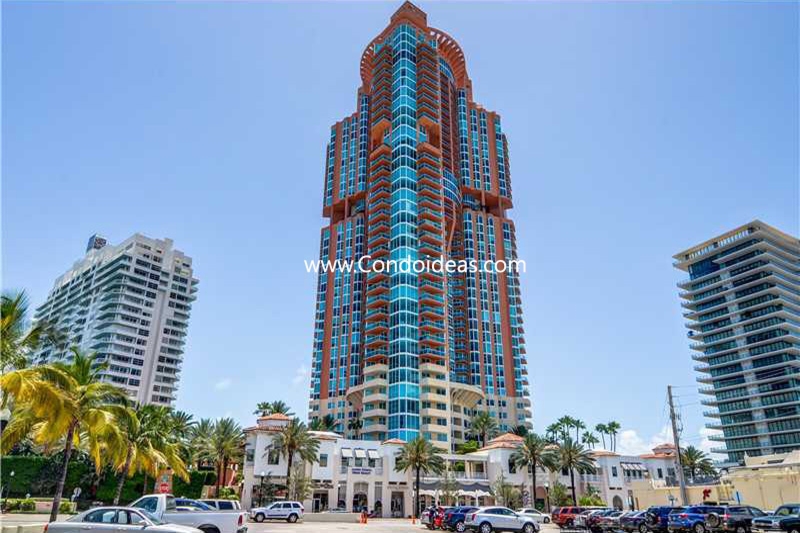 The Portofino Tower rests majestically on the waterway connecting the sultry turquoise waters of Biscayne Bay and the limitless blue-green waves of the Atlantic. Views of these fascinating waters are complemented with vistas of the glittering cityscapes of Miami. At Portofino Tower, whims, needs, and desires are addressed when comfort is the object. At the 29th floor, for example, take advantage of Club Portofino, an owners-only amenity featuring a fitness center, sauna, and steam rooms, massage services, a terrace with bar, game rooms, and theaters. But leave time for the pool, tennis courts, and library. Concierge service aids you in discovering the range of opportunities within the property and outside the gates. Individual residences and lavish penthouses maximize the vistas with spacious outdoor terraces. Gracious entrance foyers invite you in. Kitchens boast European styling and top-of-the-line appliances as well as a floor-to-ceiling bay window breakfast area. In the marble-floored master bathroom, an oversized Jacuzzi tub invites total relaxation. Should you choose to purchase your luxurious haven in the tower, the endless entertainment and recreational opportunities of the Miami area await you, whether it's sailing, cruising and fishing or combing the chic shops, feasting in an international mix of fine restaurants or rollerblading to a meeting. The Portofino Tower is your gateway to adventure. In the same area, you should also check out the South Pointe Tower. 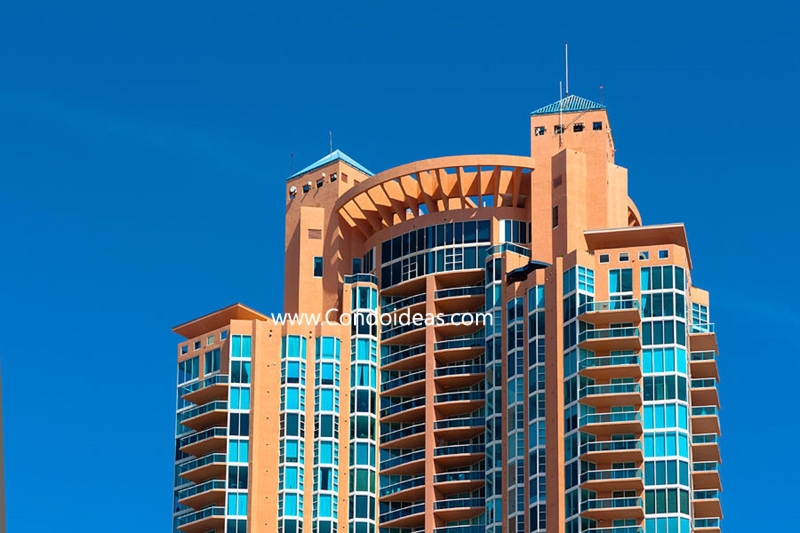 The Portofino tower is one of the most relevant luxury towers in the South Pointe neighborhood. With an ideal location, this condo is one of the very first “ultra-luxury” condos in the area. 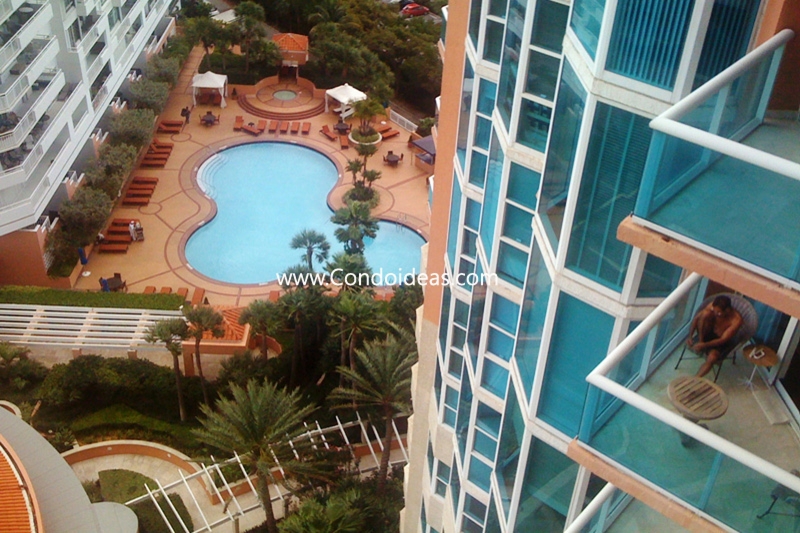 Built-in 1997 by the famous developer Jorge Perez, the Portofino Tower condo is one of the most desirable condos in Miami. The Portofino tower is also facing over $20 million renovation of the common areas, which includes the lobby, and the 2 pools. There is a limited amount of units available, knowing that there are 206 units in total, and only 16 are available for sale today. There was 1 sale last month and there is 1 other unit under pending sale. 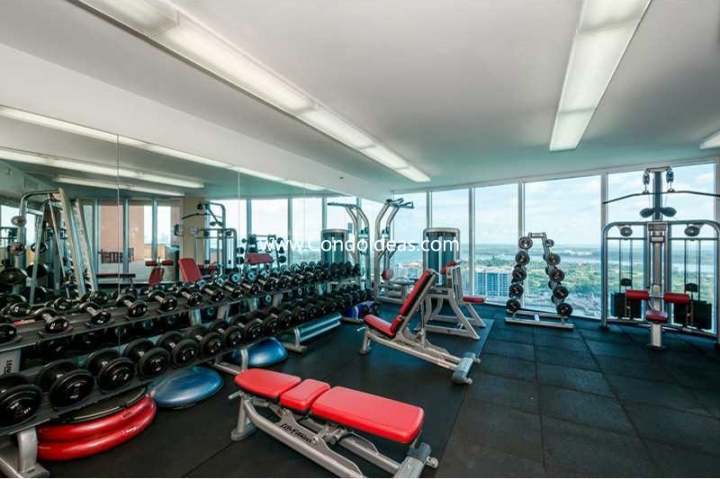 This 44-story condo has only one 1-bed available for sale, unit #905. 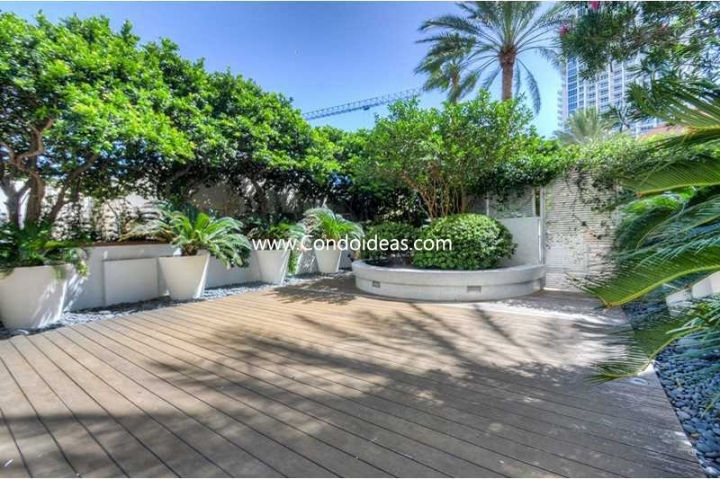 Listed at $1,160/sqft, this unit is also sold together with unit #908 for $2.2M or $1,000/sqft. These two units have 3 bedrooms in total with 2.5 bathrooms. We wouldn’t recommend this deal unless you are planning to remodel #905 completely, as the design of these two units is extremely different and needs to be redone. If you are looking to buy a 2-bedroom at the Portofino Tower, our favorite unit is #3806 as it is the lowest-priced unit facing the ocean. It is listed for $2.2M and it has been fully and nicely remodeled. 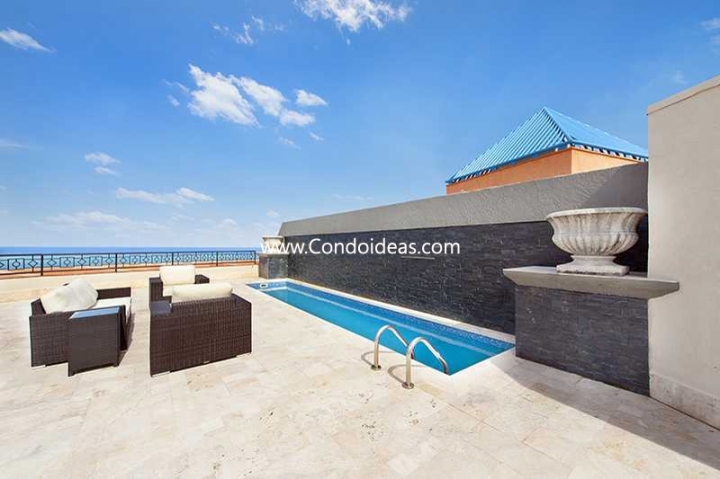 The greatest asset from this unit is the ocean views from the 38th floor and the extensive balcony. It has been on the market for only a month now and it was bought last year for $1.6 M. We personally think that the owner is overpricing the unit, as he is trying to make a 27% profit selling only 1 year after he purchased it. Even if the unit was completely redone and all the assessments have been paid, the price is high, and it is too soon to know if the owner is open to negotiating the price. The Portofino Tower is one of the few places where to find large units, so if you a looking for a 4-bedroom, this might be the place to find it. Our personal favorite 4-beds is unit #LP4004, listed at $1,680/sqft. This extremely large 2-story condo features 4,100 sqft and has been fully remodeled and has amazing oceanfront views from the 40th floor. It has been on the market for one year and a half and the price has been decreased a 19%. The owner seems motivated to sell, so it might be a good unit to put a lower offer.